APP-arently you need some help. You can use the People Directory feature from your Android smartphone. Show your appreciation to multiple co-workers at once with the Hi5 Android app. You can use your Android phone to manage the digital rewards that you've received. You can get Hi5'ed by clients, friends and even the president. Provide some invaluable feedback to your co-workers and company - it only takes 5 mins! Let's play around with some settings to personalise your Hi5 account. Someone in the office feeling left out? 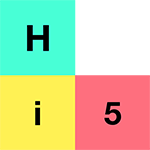 Read through these easy steps to invite them to Hi5 on your phone. Forgot your password? Here's how to reset it. On one condition- you have to come back. How to: back a Hi5 on Android. Back your employees - 'like' their Hi5's. Oops. Let's show you how to delete a Hi5 (and quickly for that matter).